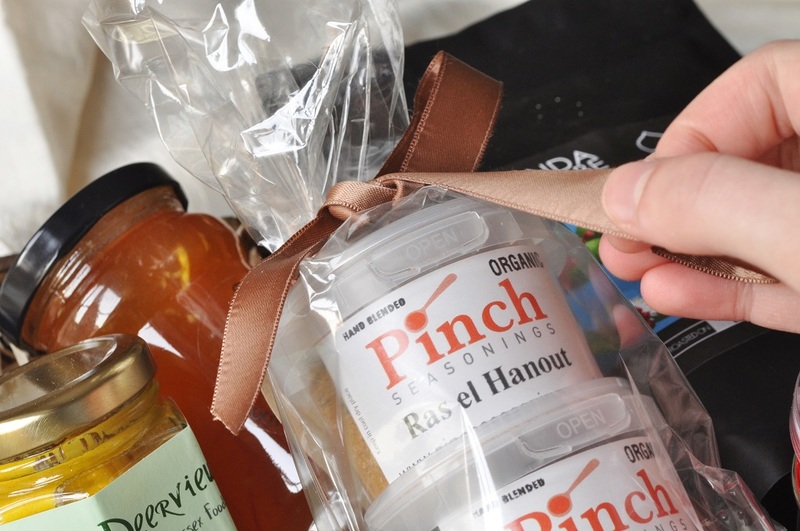 Of all the products I received in my prize hamper and am reviewing here for the “Twelve Gifts of Christmas,” the one that has got me the most excited about heading to the kitchen is the package of organic spice blends from Pinch Seasonings, a husband-and-wife team based in Hove. 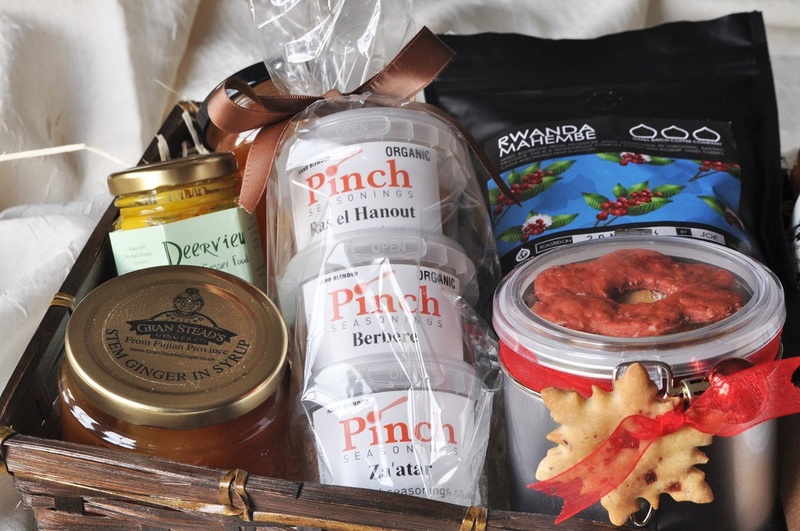 They were inspired to start their business after a visit to a spice shop in Southern France. They’ve done a good job sharing that inspiration, for I can hardly wait to try using these blends in some new recipes! I received three of their blends, each wonderfully fragrant and enticing in its own way. There is the Middle Eastern za’atar, which I have been curious to taste ever since doing a presentation on Israeli cuisine in culinary school. I’m so thrilled that I’ve finally got some of my own to try! In Israeli cuisine, za’atar is associated with the Biblical herb hyssop, or ezov. However, wild hyssop is now a protected plant in Israel, so za’atar is usually made of a blend of several other herbs and sesame seeds. 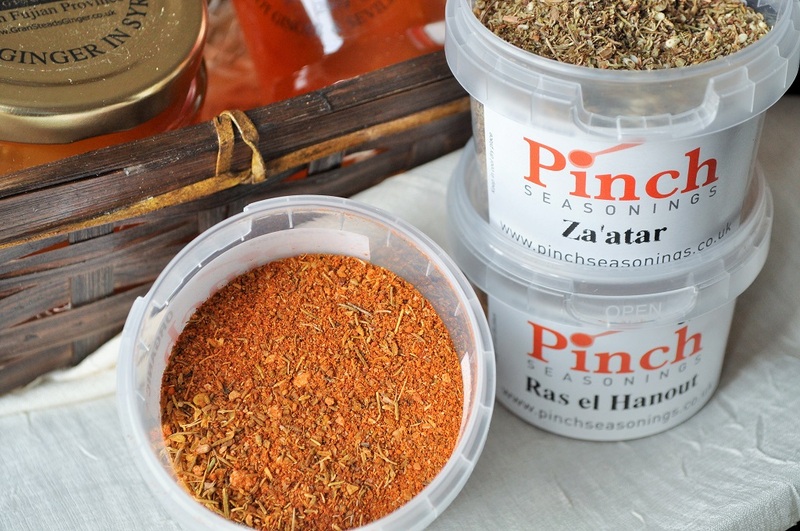 Pinch Seasonings’ blend includes sumac, thyme, marjoram, and oregano, in addition to sea salt and sesame seeds. It smells like the Mediterranean to me, and begs to be sprinkled over a salad with feta cheese and lots of olive oil. Then there is the fiery red berbere spice blend, which is commonly used in Ethiopian cuisine. It smells like a very complex curry powder and has bird’s eye chilli peppers in it. Sounds spicy! I’ve already been looking into some traditional Ethiopian dishes, and hope to make a variation of fit fit with my berbere spice–it gives me a good excuse to try making those Ethiopian injera flatbreads. I’ve always thought they looked fascinating! 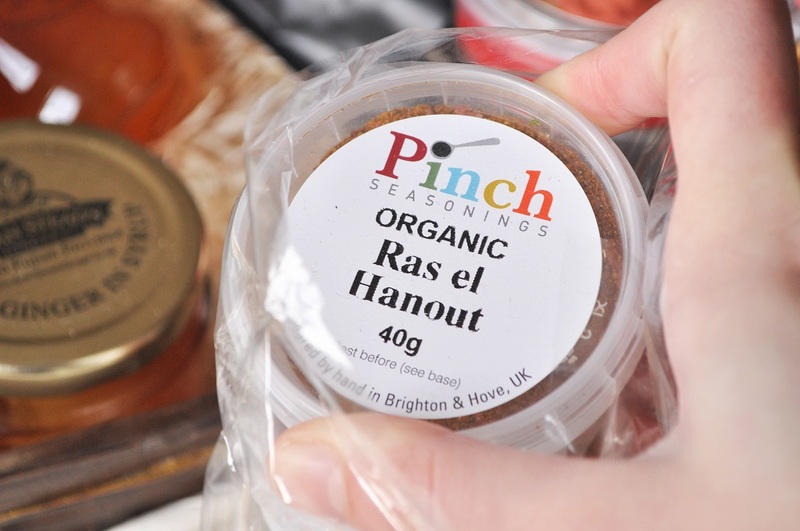 And finally there is ras el hanout, the North African spice mix closely associated with Moroccan cuisine. It has a heady, ancient aroma reminiscent of exotic bazaars. I especially love that their blend includes dried rose petals. I can’t wait to cook with all of the blends; look out for recipes featuring them in future posts. 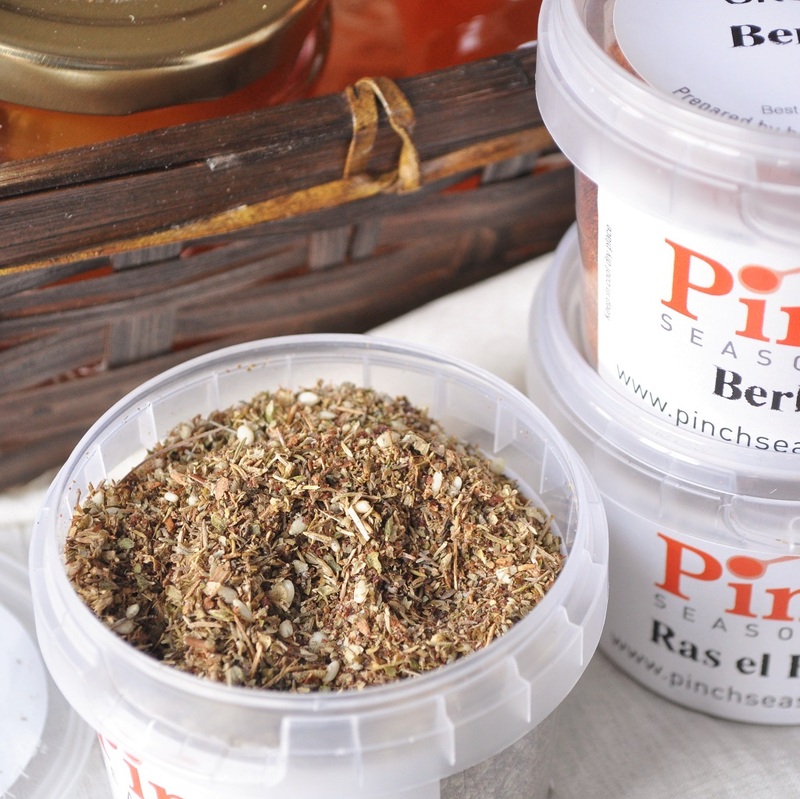 You can peruse the full range of Pinch Seasonings’ products on their website or read Rosemary and Pork Belly’s feature on the company here. 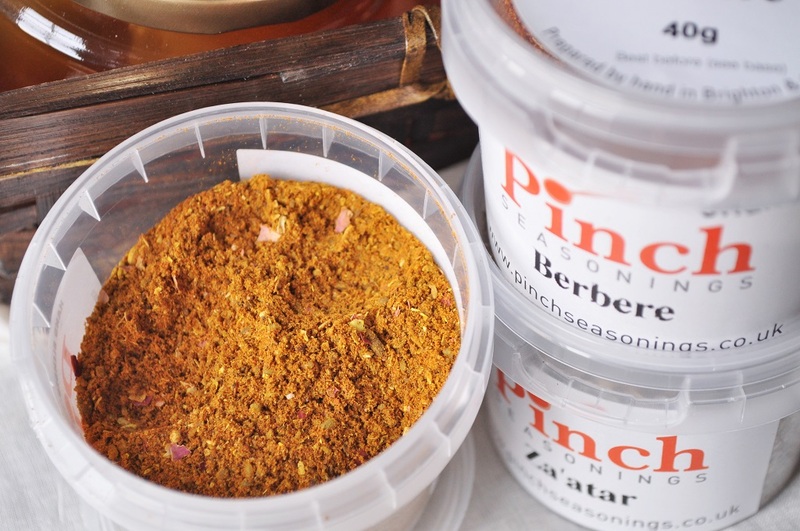 Mmm, you’ve just reminded me I got a pot of Berbere before crimbo and haven’t tried it yet – Will plan to give it a go this week. I hope I can try cooking with mine some time next week, too!